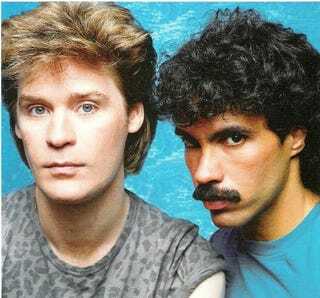 Maybe this is old hat to the rest of you, but I just discovered that in this tumultuous world there exists an emergency Hall & Oates hotline, e.g., Callin' Oates. (719) 26-OATES. If this doesn't put a skip in your step on a Monday morning, your heart has been replaced with a sack of monkey turds.